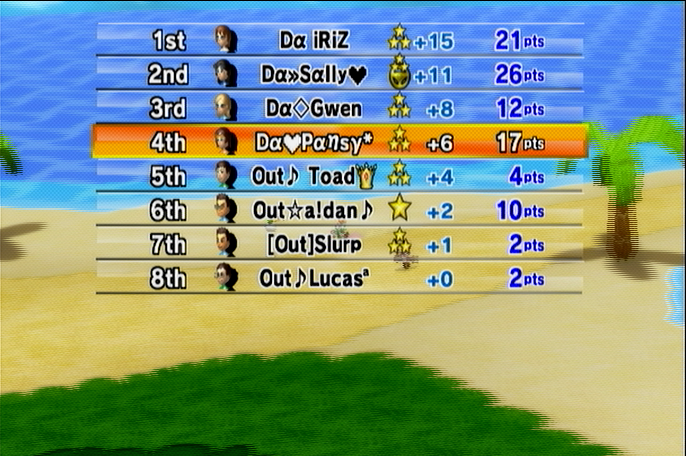 -We top 4'ed GP1, race 2 on DK Summit, GP1, race 4 on Wario's Gold Mine, GP2, race 4 on GBA Bowser Castle 3, GP3, race 2 on GBA Shy Guy Beach! 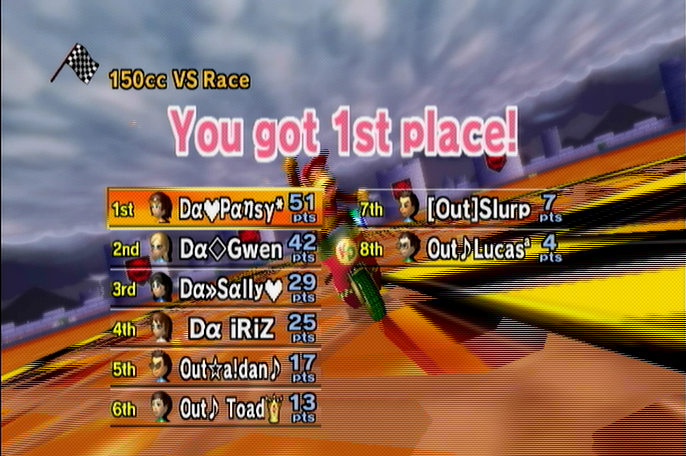 -We also top 4'ed overall EVERY SINGLE GP. 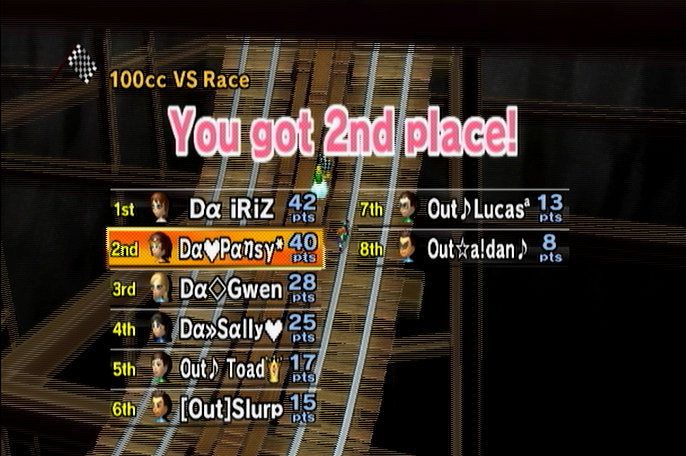 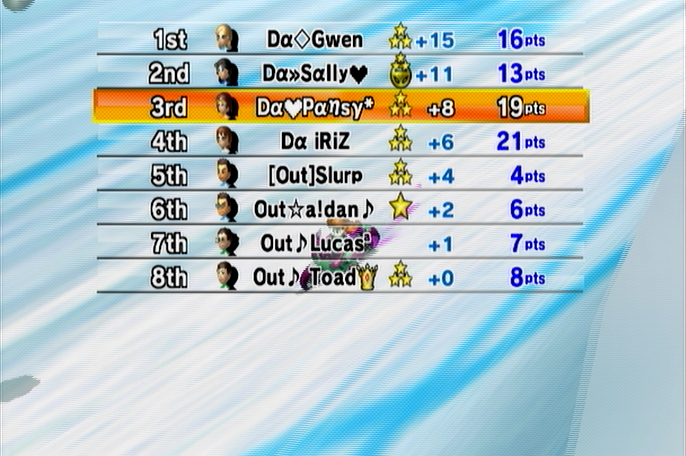 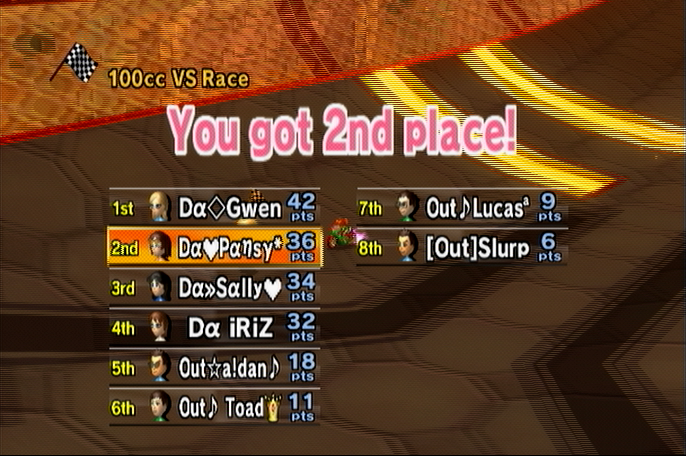 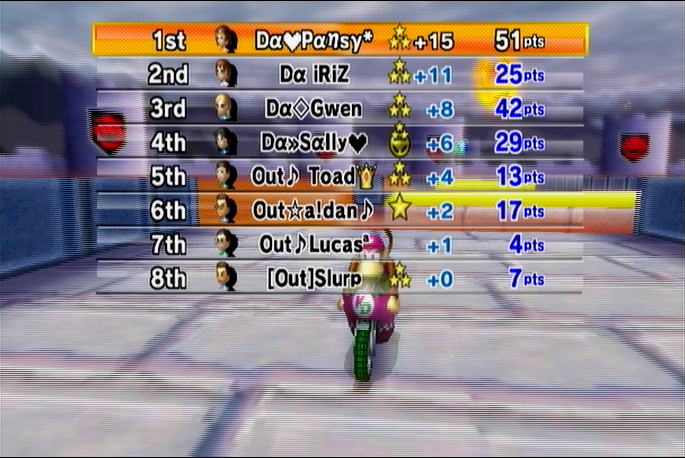 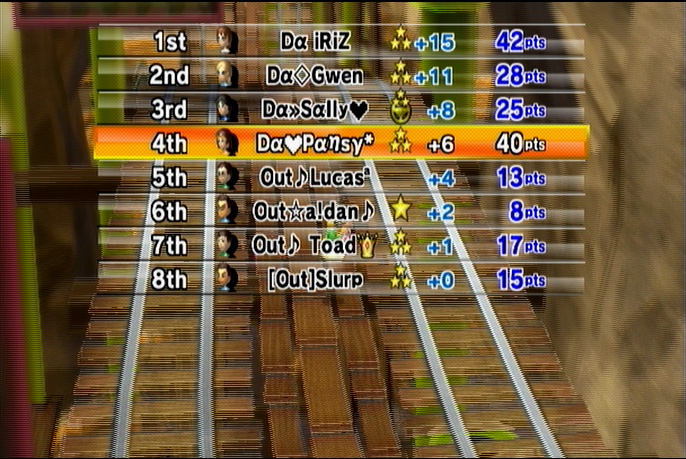 -We missed having 3 people break 100 by 1 point.